Successfully saved Vegetarian Bibimbap Bowls with Winter Veg to your Calendar. You can also save the ingredients to your Grocery List. 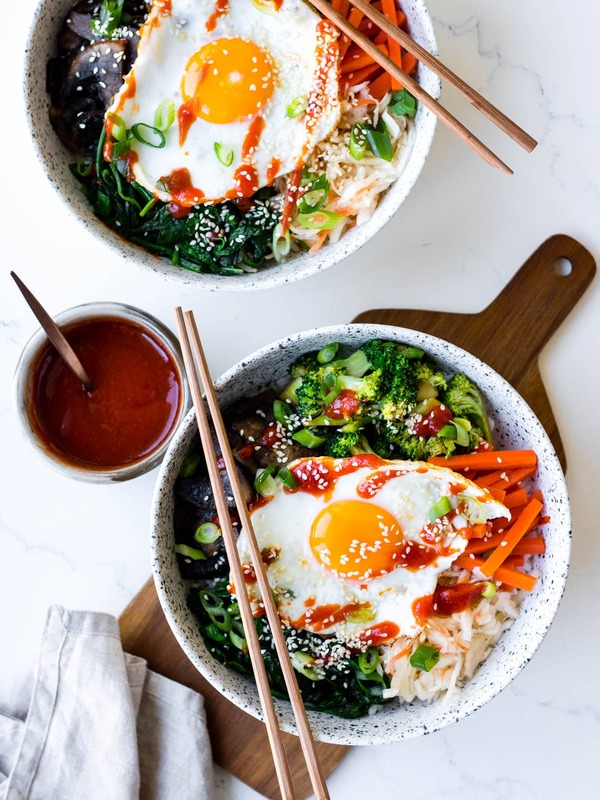 Vegetarian bibimbap bowls piled high with winter vegetables for a healthy dinner. To top it all off, add that essential runny egg so you’ve got a delicious yolk to stir through the mix. Gluten free and dairy free.